Early October was a very special and intensive period of time. 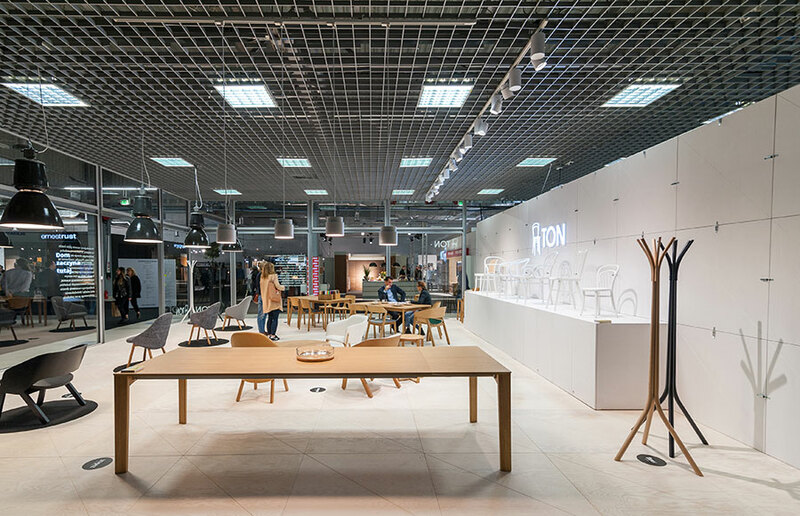 Two interesting events were scheduled for one weekend: Łódź Design Festival and Warsaw Home Fair. 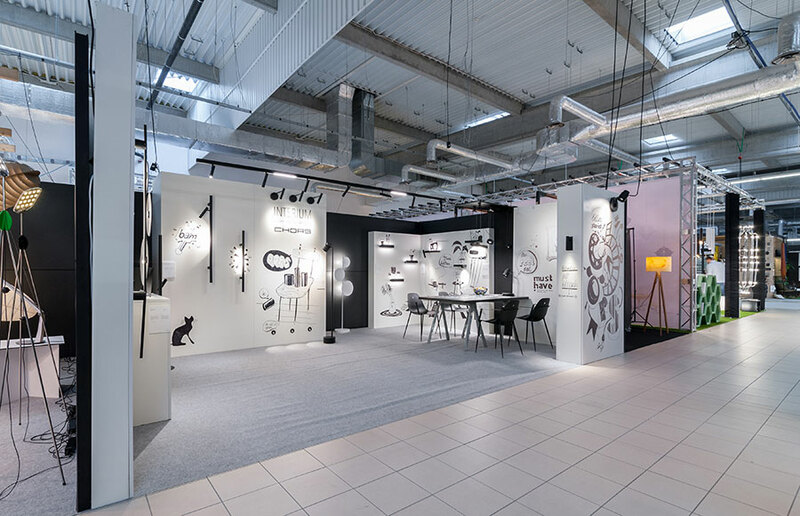 We were invited to participated in the latter by Interium, a Warsaw-based company which asked us to illuminate one section of its stand. 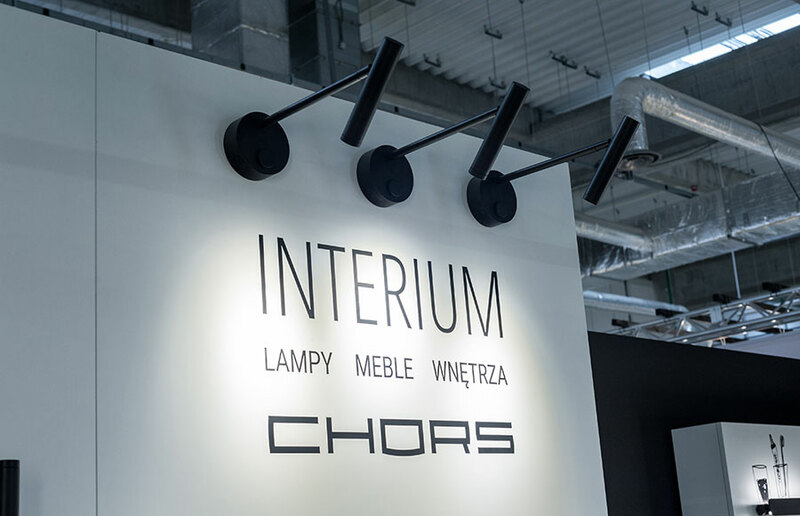 It was a huge challenge for us because Chors had to be present in Łódź and Warsaw at the same time. We decided to come up with different conceptions for the two shows. 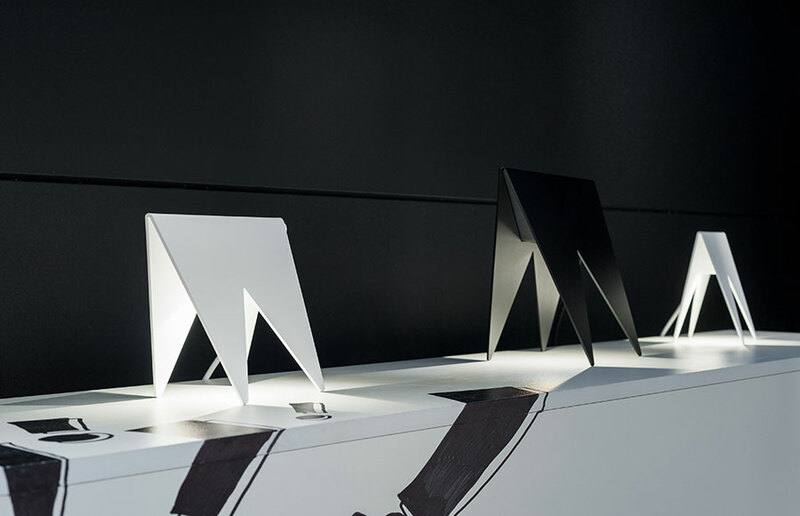 The one in Warsaw was supervised by Piotr Kalinowski, the designer behind the Ambiente and Dogirami series of lamps. He came up with an idea for a story that materialised on the walls. The arrangement of the lamps and the drawings constituted a coherent whole. Every description had a function to fulfill. 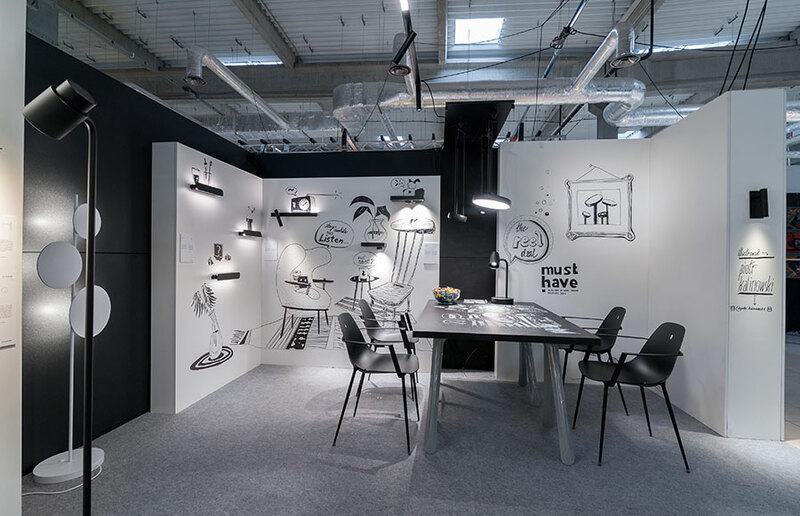 It was a story about how the lamps had been designed, what emotions they triggered and who made them. 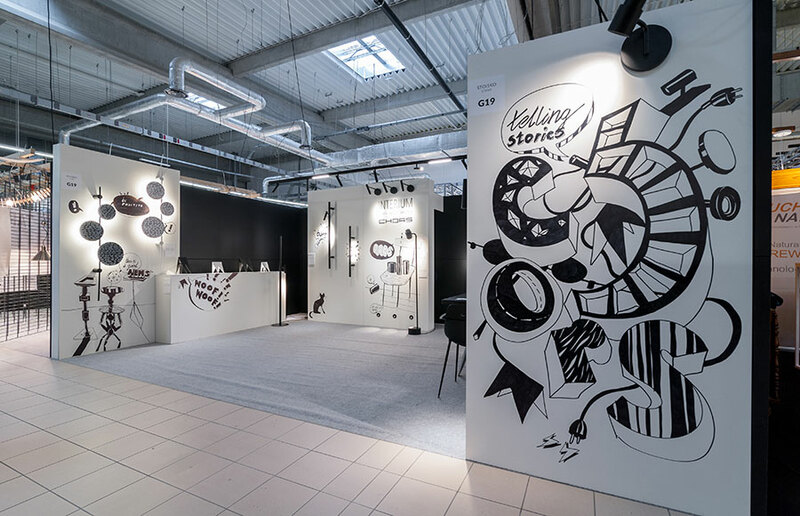 The details were selected in a harmonious way to arise the visitors’ curiosity and encourage them to explore the unique possibilities offered by our products and our philosophy behind them. We did our best to come up with an idea that would enable us to showcase our products. This is why the presented lamps were in two colours only, making the stand look homogenous. Constructing the stand was great fun. Participating in the subsequent stages of Piotr’s creative process was inspiring and informative. 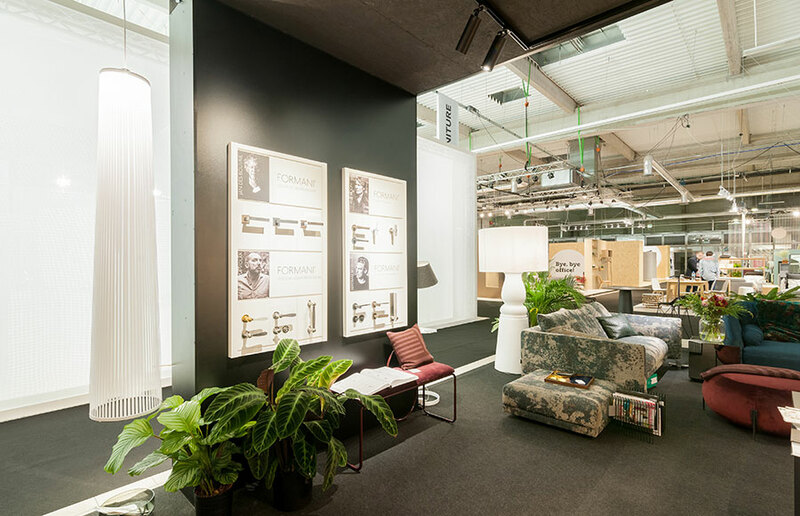 Although we had a relatively small surface at our disposal, we managed to present a significant part of our collection in a way that enabled the visitors to understand how a given lamp shines and how it could be mounted in different interiors. 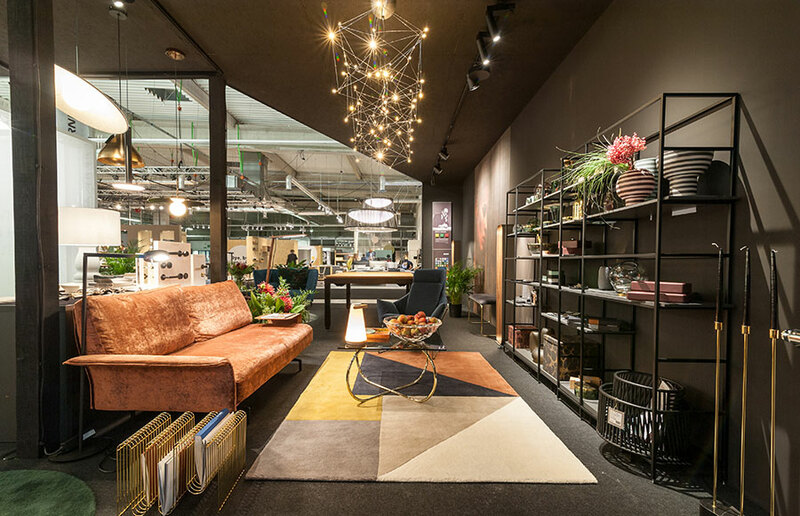 We were invited to participate in the Warsaw Home trade fair by the company Interium. Their beautiful stand won an honourable mention. The space was illuminated with slimple light using spotlights from the Reel, Papa R and Supra series. 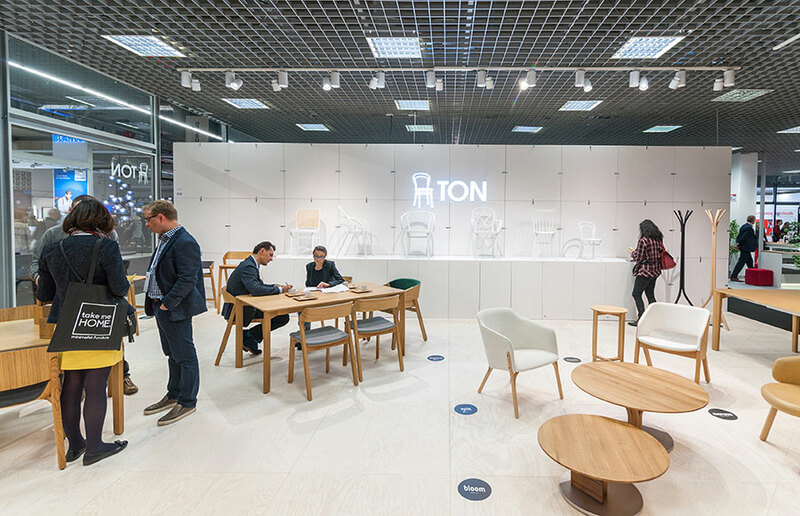 Another space that used our lamps was the stand of the company Ton. Here we decided to use spotlights and suspended lamps from the Reel series.